Nick Newell took a break from MMA and returned as if it was only a break between camps at LFA 35. The 31- year old fighter who usually fights at lightweight stepped away from MMA in 2015 when he last fought at WSOF 24. His only loss was to Justin Gaethje who seems to have been watching Newell's return and heard his request to be in the UFC. When Newell stepped away he was on a two-fight win streak and with his win over Sunny Luque that makes three in a row. It's as if he never left the sport and with nine of his 14 wins by submission he certainly deserves some consideration to move into the UFC. 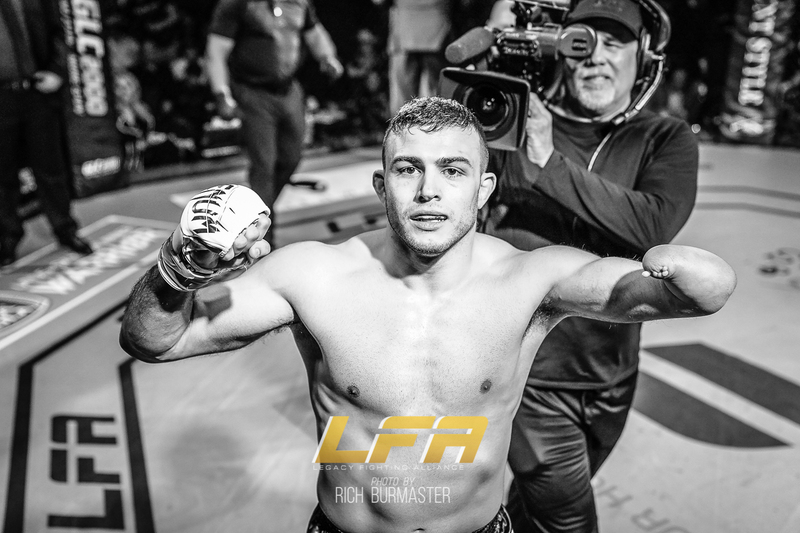 Main Event - Catchweight Fight (163 Pounds) - Nick Newell (14-1) submitted Sonny Luque (10-7) with a neck crank at 2:10 in round one. Co-Main Event - Heavyweight Fight - Vernon Lewis (5-3) defeated Jared Vandera (6-3) in a back-and-forth battle by unanimous decision (29-28, 29-28, 29-28). Welterweight Fight - Jason Langellier (7-1) quickly submitted Thomas Webb (13-5) with a d'arce choke 1:10 in round one. Featherweight Fight - Charles Cheeks III (13-6) defeated Rivaldo Junior (15-8-2) by unanimous decision (30-27, 29-28, 29-28). Bantamweight Fight - Adrian Yanez (7-2) knocked out Nathan Trepagnier (4-4, 1 NC) at 4:56 in round one. Strawweight Fight - Cheyane Vlismas (1-0) finished Karla Hernandez (0-1) with elbows to win by TKO at 4:22 in round three.